A very attractive house for chickens, bantams, ducks and guinea fowl. 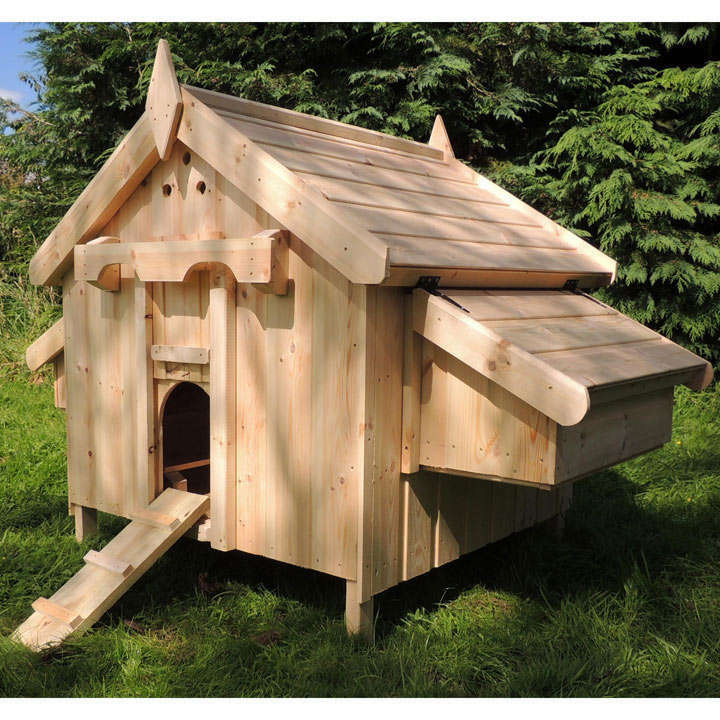 It has a pophole front access with ramp to allow the animals to free range and a removable opening door access at the back to allow for easy cleaning. This model has one double nest box on the side with external access for egg collection. FSC® approved. Dimensions; 91.44cm length, 106.68cm width, 106.68 height.